BBC World News is the international news and current affairs television channel of BBC. Sky News is Australia's leader in the latest business news and top stories covering news 24 hours a day. CNBC delivers the latest financial news and business headlines from India and from around the world. Bloomberg Markets delivers financial news, data, analysis, and videos to the world. BTVI, formerly known as Bloomberg TV India, Bloomberg UTV and UTVi, is a 24-hour English news channel in Business-Economy genre. CNBC Arabia is an Arab TV channel that broadcasts regional financial and business news, including regional stock market news and live regional Middle East stock market data. Al Jazeera (JSC) is a Qatar-based broadcaster of news on the Middle East and worldwide, as well as multimedia, documentaries and podcasts in Arabic and English. Sky News Arabia is an Arabic TV channel that broadcasts news on current affairs and provides full coverage of the regional and international news headlines. ET Now is a business and finance news channel in India, provided in English language, broadcasting the latest global business, share market and financial news. Scroll through the list below to view more videos of Peter McGuire on TV. 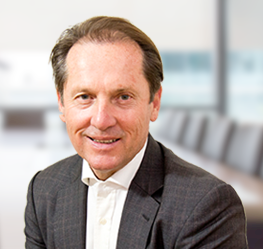 Peter McGuire is Chief Executive Officer of XM Australia and is a responsible manager on the firm’s Australian Financial Services License. He comes to XM with over 20 years’ experience from the financial services industry and real estate market. Peter is responsible for representing XM as a regular commentator on some of the world’s leading media including Bloomberg, CNBC and Sky TV on a weekly basis where he connects via Sydney, where he resides. Peter graduated with an Executive Master of Business Administration from the University of Technology Sydney. He holds a Graduate Certificate of Commerce / Risk Management from the University of New South Wales and also is a graduate of the Advanced Management Program, from The Wharton School of Business, University of Pennsylvania, USA. Peter is a proven communicator, conference and media presenter for the financial services industry and has presented over the years to audiences in Manila, Sydney, Singapore, Tokyo, Mumbai, Berlin, New York, Hong Kong, Shanghai and Beijing. With global markets operating 24 hours a day, Peter can work across numerous time zones due to Australia’s geographic location and the Asia - Pacific business day.